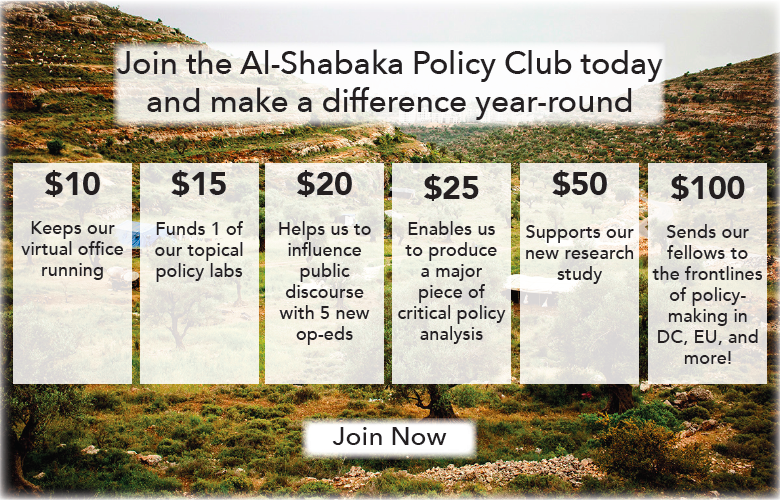 Al-Shabaka Policy Advisor Munir Nuseibah has identified six of the methods Israel uses to displace Palestinians, and discusses two – displacement by personal status engineering as well as by urban planning. He argues that the traditional human rights approach to the conflict is not enough. Rather, he calls on human rights advocates and organizations to apply the more recently developed transitional justice approach to deal with the mass human rights violations carried out as a matter of policy, as this is the only way toward meaningful redress and just peace. It is common, in the rights-based approach literature to focus on war refugees separately from other waves of displacement. In the Palestinian context, however, it is vital to situate war refugees within the macro-picture of the conflict. As Raef Zreik notes, “the Palestinians have lost not only their rights and their land, but also the context that enables them to demand these rights in a way that makes sense.” 3 The Palestinian refugees of 1947-48 and 1967 cannot “just” be seen as war refugees. They are victims of a racist policy of population transfer implemented under the cover of war and other sets of victims have been created in line with the same macro-policy. The application of a transitional justice framework to the Palestinian-Israeli context can address the missing context Zreik identifies. The transitional justice framework has now been used in other conflicts but it has been not sufficiently studied in the case of Palestine, even though it offers a way to comprehensively redress the victims of gross human rights violations, as will be discussed in the final section of this policy brief. Israel has utilized its legal system and institutions from the day it was established to this day in order to inflict forced displacement within the Occupied Palestinian Territory (OPT) as well as within Israel. Its methods can be divided into at least six general categories and have led to permanent displacement of Palestinians from both sides of the Green Line. The use of violence during times of war as happened during the wars of 1948, 1956 and 1967, which created one of the most complicated refugee problems in the world as well as a significant number of internally displaced persons. Engineering of personal statuses in Israel and the OPT in a way that excludes habitual residents, or persons who should be entitled to residency rights, from the right to live in their homes. Dispossessing Palestinians of their property under discriminatory laws and regulations that result in the forced eviction of families from their places of residence. Deportations under security justifications and emergency law. This method was extensively used in the OPT at the start of the occupation and is still being used from time to time. Creating unbearable circumstances in certain areas that eventually drive the civilian population to leave their homes and move to other areas. Examples of this pattern include Sheikh Sa’ad village in Jerusalem and Al-Nu’man village in the West Bank where both communities were suffocated by the construction of the Separation Wall. All six methods of displacement have contributed to the forcible removal of the Palestinian civilian population either internally within the borders of Palestine/Israel or across international borders. It is estimated that by the end of 2011 Israel had forcibly displaced around 66% of the whole Palestinian population. Two of the methods Israel has used – personal status engineering and urban planning – are examined in more detail below. In the aftermath of the 1948 war Israel used personal status definitions to make the demographic changes needed to turn the Jewish minority in the areas it had conquered during the war into a majority. It introduced discriminatory citizenship laws in a way that would exclude all the refugees from acquiring its citizenship. Two laws regulated Israeli citizenship: the Law of Return of 1950 and the Citizenship Law of 1952. Together, the two statutes gave all Jews around the world the privileged status of Jewish “nationals” of Israel with the right to immigrate to Israel and become full citizens, while according “citizenship” to Palestinians who had remained in Israel. 4 The laws excluded all Palestinian refugees although they had been residing in the area that became Israel for centuries before the establishment of the state. 5 Israel’s 1954 Prevention of Infiltration (Offences and Jurisdiction) Law also served to criminalize any attempted return of a refugee to his/her home. In the aftermath of the 1967 war, Israel introduced similar measures through the military-legal system by which it managed the occupation. Shortly after the war, during which around one third of the population was displaced, Israel took a census in the OPT. It then introduced a new system of Palestinian residency that excluded anyone who was not part of this census regardless of his or her links to the OPT. Israel then enacted a number of “prevention of infiltration” military orders that criminalized any unauthorized return in a way that was almost identical to the above-mentioned 1954 law, thus cementing the displacement of the 1967 refugees. The policy of defining new rules for residency and then criminalizing any Palestinian who attempted to return to his/her home was not the end of Israel’s personal status engineering. Following its occupation of the West Bank and Gaza, Israel annexed East Jerusalem and introduced three different types of residency status for the Gaza Strip, the West Bank and East Jerusalem. The inhabitants of the OPT who were counted in the census received Israeli-issued identification cards (ID cards) with three different colors: Red for the Gaza Strip, orange for the West Bank and blue for East Jerusalem. The inhabitants of East Jerusalem were given an Israeli permanent residency status and were ruled under Israeli domestic law and legal jurisdiction, while the rest of the inhabitants were considered residents of their territories and were ruled under an Israeli military regime. Both legal systems included ways to revoke the residency status. 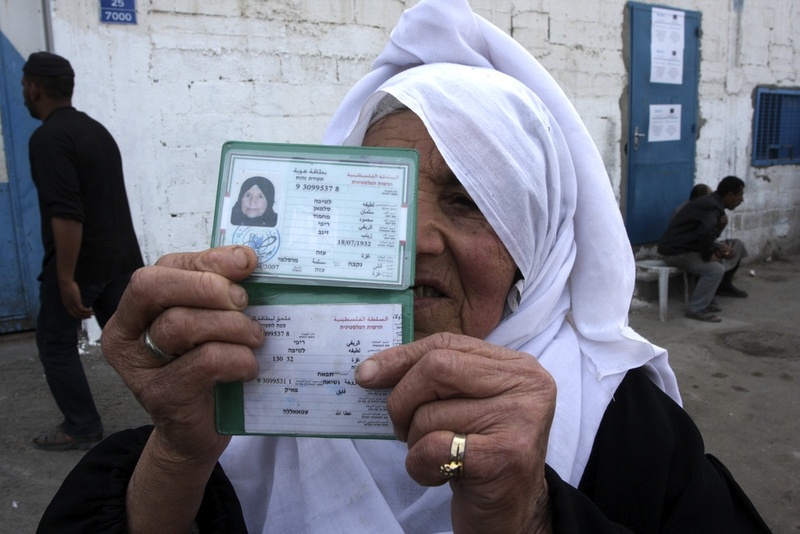 In the West Bank and Gaza, exit permits with an expiry date were given to those who travelled abroad. If the traveler failed to return before the expiry of the permit, his/her status would be assigned as “ceased residency” and they would not be allowed to return. This policy of residency revocation stopped in the West Bank and Gaza Strip after the beginning of the peace process. In East Jerusalem, the residency revocation policy was similar in its effect to the one in the West Bank and Gaza, although it functioned according to Israeli domestic legal jurisdiction, not military law. Jerusalemites also needed exit permits when they travelled abroad and they lost their residency status if they failed to return before the expiry of the permit. However, unlike the residents of the West bank and Gaza, the peace process did not provide any protection for Jerusalem residents. On the contrary, Israel evolved the legal framework in a way that facilitated an accelerating rate of residency revocations. Prior to the peace process, Israel used to revoke the residency status of Jerusalemites when they were considered to have “left Israel and settled in a country outside Israel.” 6 The Entry into Israel Regulations defined a settlement outside Israel for the purposes of revocation as: living abroad for 7 years, receiving a residency status in a foreign country, or receiving a citizenship in that country by naturalization. Residence in the West Bank and Gaza was not considered a settlement outside Israel. Once the peace process started, however, Israel suddenly changed the revocation rules without introducing any official legal amendments and without warning the public. Suddenly, it started using a new criterion to interpret one’s residence outside Israel known as the “center of life.” According to this new policy, if it were shown that the Jerusalemite’s “center of life” was outside Israel, then he/she would be liable to have his/her residency revoked. Even worse, residence in the West Bank or Gaza Strip was considered to be residence abroad, putting the residency of thousands of Palestinians who had established their homes in the suburbs of Jerusalem in danger. According to figures provided by the Israeli Ministry of Interior, the residencies of 14,152 Palestinians had been revoked between 1967 and 2011, more than 11,000 after the beginning of the peace process. These figures greatly understate the Palestinian loss of residency rights. For example, they only include partial data for 1967 – 1990 as noted by the Israeli Interior Ministry itself. 7 Moreover, the harsh “center of life” policy has and is being rigorously applied. In addition to revocation of residency, Israel has also introduced limits on child registration. These limits apply not just to residents of East Jerusalem, the West Bank and Gaza; they also apply to the Palestinian citizens of Israel. Regarding its own citizens, Israel prevents the automatic granting of citizenship to children of Israeli citizens born abroad. Although this applies to Jewish and non-Jewish citizens alike, a Jewish child can always acquire his citizenship by virtue of “return”, whereas a non-Jewish infant does not enjoy this right. The conditions ruling registration of Jerusalem children are more complicated and restrictive. Since the Palestinian inhabitants of Jerusalem are not citizens of Israel, they cannot automatically pass their residency on to their children. Between 1967 and 1994, the Israeli Ministry of Interior refused to register the children of female residents on the basis that children should take their father’s status. Currently, if both parents are residents, the Ministry of Interior registers the child, but this is not granted as a right. In fact, Israel has steadily increased the restrictions on giving children permanent residency status in cases where only one parent is a resident and where the child was born abroad, thus effectively reducing the number of Jerusalemite children registered. In 2002, Israel started to handle the applications to register Jerusalemite children born abroad as family unification cases, which was also the case in the West Bank and Gaza. At the same time, the Israeli government decided to stop processing family unification applications by Palestinian citizens of Israel as well as by Palestinian Jerusalemites to be joined by their Palestinian spouses from the West Bank or Gaza Strip. Israel also made it more difficult to register a child who was born in Israel if only one of his parents was a resident, a policy that further affected Jerusalemites. 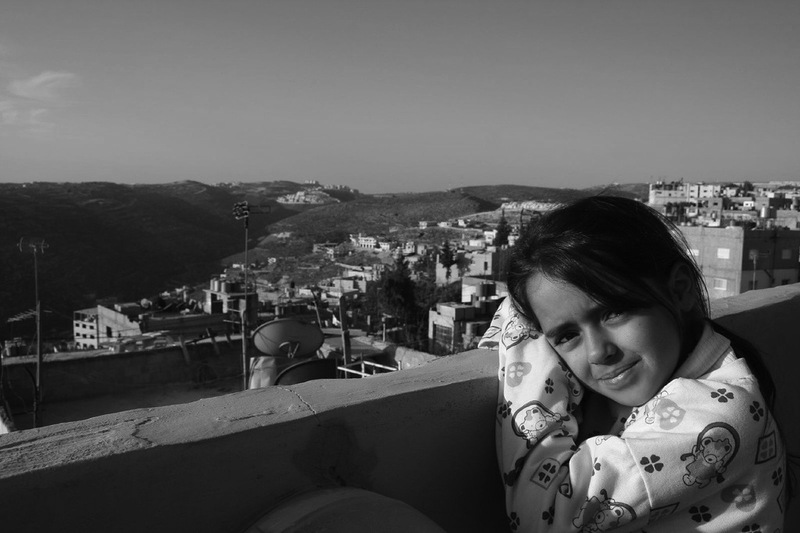 A Palestinian non-governmental organization estimated in 2003 that these restrictions had resulted in more than 10,000 unregistered children in East Jerusalem, but there is no other source of data regarding the outcome of this under-reported tool for the forced displacement of Palestinians. It should be noted that similar restrictions were introduced to the registration of children in the West Bank and Gaza even after the Palestinian Authority was established in 1994. Urban planning is another method that Israel has used consistently on both sides of the Green Line from the establishment of the state to the present day to displace Palestinians and replace them with Jewish colonists. In the Negev desert, for example, the majority of the civilian population was displaced during the 1948 war and as a result of forced displacements during the 1950s. Yet Israel is still targeting the residents of this area and town planning is currently the method of choice. The Israeli government has refused to recognize dozens of Palestinian Bedouin villages and towns, some of which were in existence before 1948, while others had been established as a result of Israel’s previous displacement policies. It is determined to implement a plan that would result in the destruction of some 35 Bedouin villages and to forcibly displace the Bedouin into concentrated spaces, “developing” the area for Jewish expansion. It is worth noting that the Bedouin are also among the Palestinian population groups displaced in the OPT to make way for Jewish colonization that is illegal under international law. The Bedouin have been continuously displaced from around Jerusalem, for example, in order to expand the Ma’ale Adumim settlement which holds some 40,000 Jewish colonists. The Israeli Government plans to further expand the settlement in the direction of Jerusalem. This will displace the Jahhalin Bedouin who had already been previously displaced from Tal ‘Arad in the Negev. Much has been written about Israel’s colonization of the West Bank and East Jerusalem, which uses urban planning methods similar to the ones described above, but is worth noting the particularly important role urban planning plays in displacing Palestinians in illegally annexed East Jerusalem. Since the beginning of the 1967 occupation, Israel has confiscated 35% of the Palestinian lands in East Jerusalem and allocated them to Jewish colonization. Israel has also used zoning policies to declare 22% of Palestinian land as “green areas” on which Palestinians were not allowed to build. Currently, only 13% of the total area of East Jerusalem is zoned for Palestinian construction, and most of it is already built and inhabited. Israel considers any construction without a permit “illegal” and frequently demolishes such constructions, causing forced displacement of the inhabitants. As seen in the above discussion and in the examples given of methods of displacement, Israel’s discriminatory policy of forced displacement of Palestinians has been systematic and continuous, and is grounded in the very ethos of the establishment of the state. The significance of this understanding will come into play when a genuine peace process is launched. In the Palestinian context, there is no justification to focus on war refugees and to ignore the victims of the various methods of displacement, all of which feed into a deliberate overarching policy to forcibly replace the indigenous inhabitants by colonizers from among Israel’s existing Jewish population or recent Jewish immigrants. Without such a comprehensive understanding of the violations, it would be impossible to meaningfully redress the victims of human rights violations and to stop the crimes. In addition to the myriad other problems associated with it, the Oslo “peace process” totally ignored many of the methods and waves of deportation and transfer of civilians; indeed, forced displacement actually increased after the peace process started. Human rights organizations, academics, and practitioners should redraw the picture as they identify the elements that should be tackled in a transitional phase to peace and justice in the Israeli-Palestinian conflict. The comprehensive examination of the human rights violations is essential not only to understand them per se but also to prescribe the appropriate remedies, including the legal and institutional reforms that are essential to meaningful redress, as is clear from examples given above. The mistakes of Oslo must not be repeated: No peace can ever be established while discriminatory laws and institutions are engaged in producing an ever greater number of victims. Al-Shabaka Policy Advisor Munir Nuseibah is a human rights lawyer and academic based in Al-Quds University in Jerusalem, Palestine. He is an assistant professor at Al-Quds University's faculty of law; the director (and co-founder) of Al-Quds Human Rights Clinic, the first accredited clinical legal education program in the Arab World; and the director of the Community Action Center in Jerusalem. He holds an LL.M in International Legal Studies from the Washington College of Law of the American University in Washington DC and a PhD degree from the University of Westminster in London, UK, where his thesis dealt with Forced Displacement in the Palestinian-Israeli Conflict, International Law, and Transitional Justice.